After losing her husband to myeloma, Novis Durie continued his project, the International Myeloma Foundation, which now has more than 200,000 members in 140 countries. Susie Novis Durie has a specific vision for the future of the International Myeloma Foundation (IMF), a group she co-founded in 1990 after her late husband Brian Novis was initially diagnosed with multiple myeloma. That vision is for the foundation to simply no longer exist. “I hope that we’re a thing in a museum, because we will have cured myeloma and we will have closed our doors,” said Novis Durie, who has served as president of the IMF since 1992. The journey that took the IMF from its initial launch through the current progress that has since been achieved fighting the disease, started with fear and confusion after Brian’s diagnosis. At the age of 33, Brian was told he had a disease he never heard of and that he only had three to five years left to live. Despite this diagnosis, the pair went ahead with their marriage, focused on fighting his illness instead of the comparatively mundane details of planning a wedding. Joining together with hematologist Brian G.M. Durie, MD, a multiple myeloma specialist, the IMF was born with the goal of helping patients and families facing the same fight with the disease. Brian, who previously worked as a headhunter in a search firm, turned his energy to developing the IMF during its infancy. Unfortunately, at the age of 37, Brian lost his fight with multiple myeloma. Despite her profound grief at her personal loss, Novis Durie knew she had to continue the work her late husband started. From those humble beginnings with just three people on board, the IMF has swelled to become an international powerhouse in cancer advocacy. It now counts more than 450,000 members in 140 countries and has raised more than $100 million, of which 89 percent has gone to support programming and research. “I always tell people, I don’t care if they wake up in the morning and have miso soup with Cheerios, if you have myeloma or someone you love has myeloma, we’re going to reach out and we’re going to help you, and then you’re going to reach back and help us,” Novis Durie said. The IMF is focused on four key divisions of the organization: research, advocacy, education and patient support. The group’s research division is called the Black Swan Research Initiative, a groundbreaking project with the goal of developing the first definitive cure for myeloma. Additionally, the IMF brought together 200 leading myeloma researchers from around the world as part of the International Myeloma Working Group, which has developed guidelines followed worldwide for the treatment of patients. The IMF also established the Nurse Leadership Board, which is comprised of nurses from leading myeloma treatment centers, to develop recommendations for the nursing care of patients with the disease. Beyond the extensive work on the clinical and caregiver side, Novis Durie proudly highlights the patient education component of the IMF, for which the group was at the forefront. In addition to holding the first seminars for patients and their families, the IMF maintains a huge network of 140 myeloma support groups across the United States. 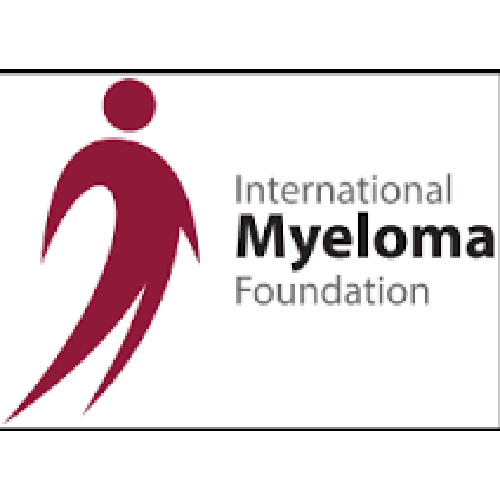 The IMF website myeloma.org also assists patients and caregivers with an extensive library of print and digital resources, in addition to a trained staff on their InfoLine at 1-800-452-CURE (2873). Novis Durie looks at the progress achieved since the start of the group with pride, knowing the IMF has helped guide many patients from the darkness of that initial diagnosis.